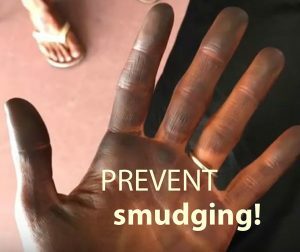 What is YOUR PLAN TO Protect Your Competition Tan? Our Products Keep THE TAN ON YOU! Look Great on Stage! No More Stained Posing Suits, Clothes or Sheets! Competitors, you invest a lot of money and time in competing, so don’t forget to ensure that your spray tan looks exceptional when you get on stage! 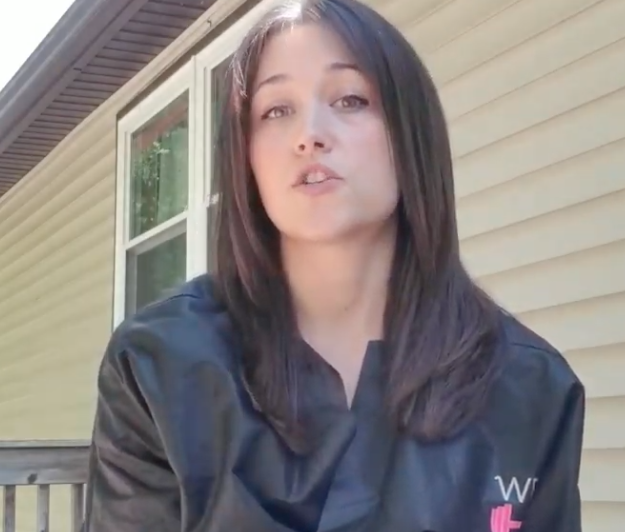 Avoid staining and smudging, and keep your professional tan LOOKING GREAT between your tanning session and when you go before the judges, with unique spray tan apparel and products from WEAR & AWAY! 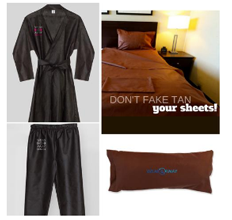 We are offering a UNIQUE set of products — robes, pants, shirts, sheet protectors and more — made of a special material that KEEPS THE TAN ON YOU, LOOKING GREAT, and prevents smudging, staining, or ruining your posing wear, clothing or hotel sheets! Use them after tanning to keep your tan looking its best. 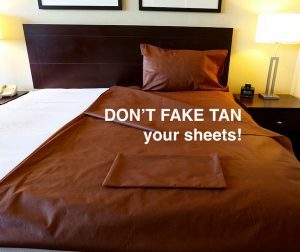 Plus, our Sheet Protector Set and pillowcase can be rolled out on top of your normal bed or hotel sheets to prevent sheet staining, eliminating the need to bring an extra set of sheets! Our products are reuseable for many competitions, and recyclable! 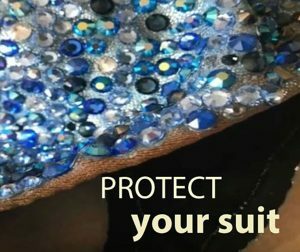 PROTECT your posing suit, clothes, and tan! CLICK BELOW TO BUY YOURS NOW!